Posted October 10th, 2016 by Vito & filed under home-news, НОВОСТИ, NEWS-SITO, Prima-pagina. The Oeko-Tex® Standard 100 certification confirms our focus on the future. Being a cutting-edge company in an industry as specific as the production of knitted and jacquard fabrics for mattresses also entails being able to respect certain quality standards established on both national and international levels. Having the highly-valued Oeko-Tex® certificate of quality guarantees a company’s adherence to and respect for these standards. For us, as suppliers and producers of fabrics, it is one of the most important certifications in the textile industry. It is released only and strictly to companies capable of passing numerous inspections and laboratory tests, thus guaranteeing the absence of harmful substances in the products evaluated, which means they can be considered 100% safe for consumers‘ health. 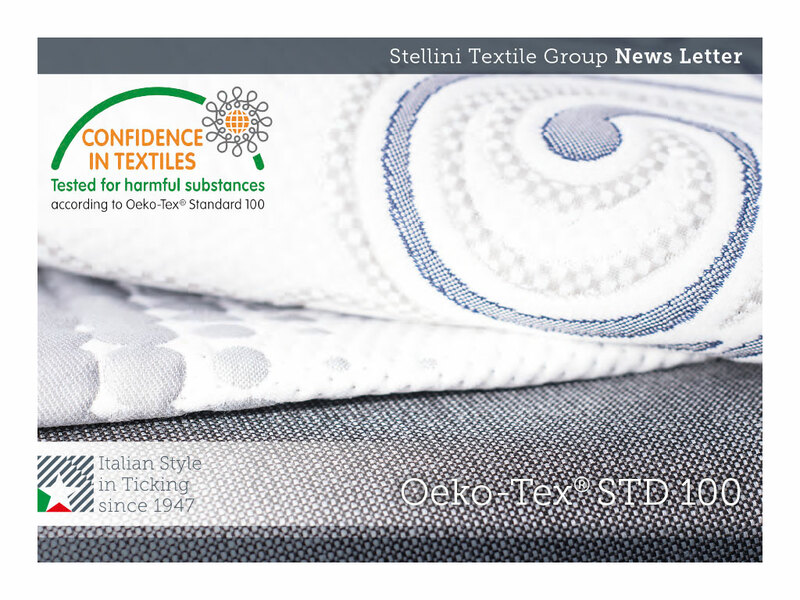 Here at Stellini, we have obtained the Oeko-Tex® STD 100 in class 1, which names us among only 22 companies in the world who have been certified for over 20 years – we have been putting ourselves under the microscope since the days when the environmental and health aspects of the textile industry certainly weren’t at the levels they are today. Naturally, all this didn’t happen by chance; it shows how much a love for quality, an attention to detail, a passion for research and the development of new and increasingly technologically advanced products have always been part of our DNA. Over the years, this has allowed us to create knitted and jacquard fabrics for mattresses and furnishings that are always ahead of the times. Today, this certification consolidates and reinforces the concept of guaranteed quality associated with our name. Since day one, we have put these values into practice in the production of our fabrics and the service we offer to our customers.